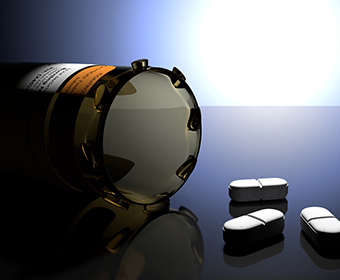 UTSA researchers examine the patterns between prescription opioid misuse and the use of other substances. (Feb. 22, 2019) -- On average, 130 Americans die every day from an opioid overdose and almost 218,000 Americans died from overdoses related to prescription opioids from 1999 to 2017, according to the Centers for Disease Control and Prevention (CDC). Researchers at UTSA have studied the opioid epidemic in a representative sample from the United States and found that the majority of people misusing prescription opioids are also using other licit and illicit substances. “If we want to end the opioid epidemic, and stop another similar one from taking its place, then we need to consider the entire clinical picture of the patient including their use of other substances,” said Grigsby. The assistant professor’s primary research interest is on the study of substance misuse and developing screening and intervention methods to stop the escalation of substance use and the pattern of associated negative consequences (blacking out, missing school or work, stealing to buy more drugs). “The results were consistent with previous research, but also show that there is a larger set of problems facing people who misuse prescription opioids,” explained Grigsby. Learn more about the College of Education and Human Development. Learn more about Timothy Grigsby. Learn more about Jeffrey Howard.